I “liked” your blog and on FB. My favorite cookies are oatmeal chocolate chip. I’ve made a number of your recipes and have loved them all! Congrats Kathy! I’ll be in contact with you soon. Happy Valentine’s Day!! Some of you have been following my blog since its inception. Some of you have been following for about a year. Some of you are brand-stinkin’ new. And I love you all tremendously, no matter how long you’ve been following. While technically I started this blog in 2009, it really wasn’t until this time last year that I had a clear vision of what I wanted to do with it and where I wanted to take it. So I thought that it’d be fun to have a little giveaway, to celebrate my one-year blogoversary. I know I can’t thank all of you individually with cookies, but I can at least say thank you from the bottom of my heart for reading, commenting, and sharing. So thank you! (And while I’m at it, I want to personally thank my husband who so graciously watches Matthew while I bake in the kitchen, willingly proofreads these posts, and happily eats the leftovers.) I don’t even want to think about how many pounds of butter, flour, sugar, and eggs I’ve used this past year! We’ll just say a lot and leave it at that. 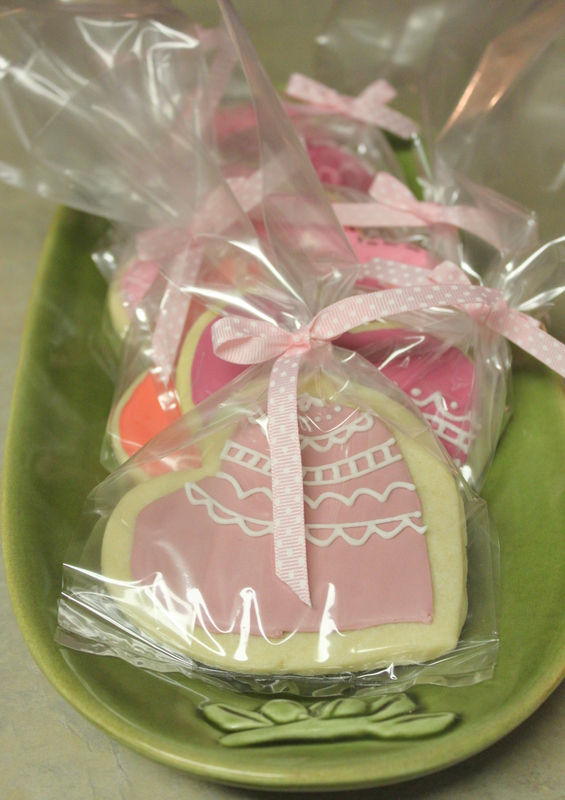 For one lucky winner, I have a dozen Valentine Sugar cookies coming your way. Yeah! 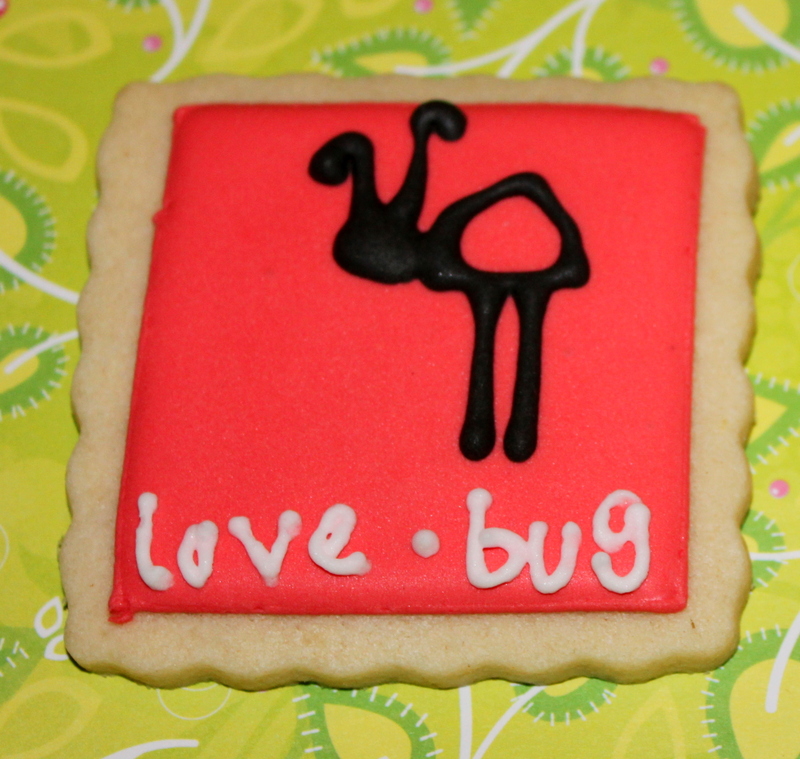 So much can be said in a cookie, and for me, it’s genuine gratitude. I never thought that this little blog would be read by so many special people. 1. “Like” Pemberley Bake Shoppe on Facebook, and leave a comment in the comment section telling me you did so. 2. Subscribe to the blog, and then leave a comment in the comment section letting me know you did. I subscribed and liked! My favorite cookie right now is a good, chewy gingersnap… especially one half- dipped in white chocolate. yum! Hi! 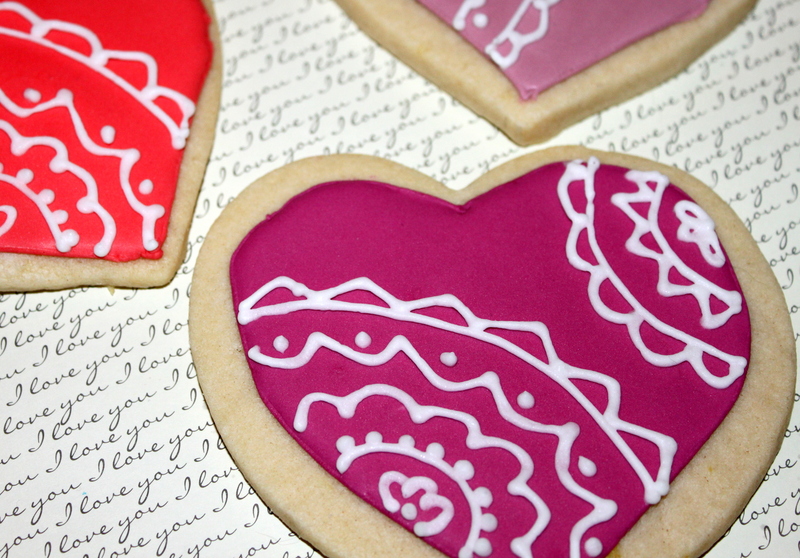 I liked you on facebook…and my favorite cookie is sugar cookie! Your stuff is amazing!!! Would you enter me into your special drawing? I like you already on facebook. Happy anniversary! I don’t really have one favorite kind of cookie. I’m a sucker for anything with a chocolate/mint flavor combo. And I’m totally in love with the lacy hearts at the top of this page. Congrats Holly… I know how much passion you put into this. I love, love, all your creations. However, lemon cake balls, lemon-raspberry poppyseed cake and sugar cookies are always the best! I liked your blog. Congrats! Love your Blog! I just joined and can’t find one recipe I don’t want to make! I have these peppermint bark cookies I make that are delicious! Thanks for all the great ideas and recipes!